Howard Greenberg has been a gallery owner for more than 30 years, and is considered one of the pillars of the New York photographic scene. While he is well known as a dealer, his private passion as a collector is now revealed for the first time to a larger public. The Howard Greenberg Collection, which has been carefully assembled over decades, comprises around 500 photographs that distinguish themselves by their superb print quality. 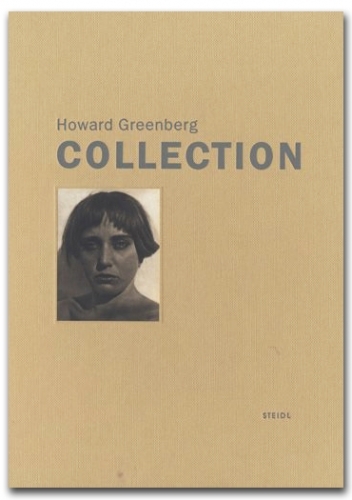 This unique collection reflects Greenberg's diverse fields of interest ranging from the modern aesthetic approach of the 1920s and 1930s with the works of Edward Steichen, Edward Weston and the Czech School, to contemporary photographers such as Minor White, Harry Callahan and Robert Frank. A large part of the collection explores humanist photography, represented, among others, by Lewis Hine, David Seymour and Farm Security Administration photographers like Walker Evans and Dorothea Lange, witnesses of the Great Depression of the 1930s. More than anything, Greenberg's collection illustrates New York's enormous influence on twentieth-century photography: dynamic architecture and urban life as seen in the photographs of Berenice Abbott, Weegee and Lee Friedlander.